House&Canvas is offering great DIY workshops this season! To reserve your spot at a House&Canvas workshop, email info@houseandcanvas.com or call 289-981-8250. Bring your own piece of small furniture and have furniture painting veterans teach you the in’s and out’s of furniture painting at our Burlington location. 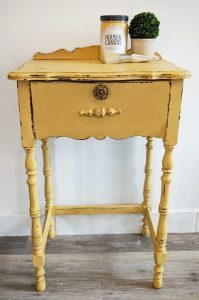 In this class, you will learn the basics of using furniture paint and wax, as well as a variety of techniques to achieve different styles and finishes. Cost of the workshop is $120 per person. Included with registration, you will receive a coupon for 30% off all DIY items*!! *applicable items include all House&Canvas Chalk Finish Paint, all House&Canvas top coats, all House&Canvas paint and wax brushes, ReDesign by Prima Home Decor Transfers. One time use. Instore only. Not to be combined with any other offers. No cash value. Summer is on its way! Kick-start your fitness regime with various Spring Fitness Specials downtown.